A gas hot water system is cheaper than a solar or a heat pump system, which makes it a viable option if you don’t have much in the way of a budget. What’s more, it is also a greener choice: a gas hot water system has about 25 to 33 percent less greenhouse gas emissions when compared to electric tank-based systems. To install a gas hot water system, you need to be connected to a natural gas pipeline. If not, you will be using bottled liquefied petroleum gas or LPG to run your hot water system. Do note that your running costs will be higher if you use LPG. Either way, you will need the help of your local plumber to install a gas hot water system. That’s because you need the right license, not to mention sufficient knowledge and skills training, to be able to perform such a job safely. Your local plumber will also be able to provide you with a Certificate of Compliance, so you can rest assured that your gas hot water system is compliant with all the regulations. Another advantage of hiring a local plumber to install your gas hot water system is that they can give you solid advice on which kind to use. For example, your local plumber can recommend a gas-boosted solar hot water system if you live somewhere that has access to a natural gas pipeline and at the same enough hour of sunshine. This will not only lead to even lower greenhouse gas emissions but also an even lower energy consumption and utility bill. Working with a local plumber also results in an even lower installation cost. It might sound counter-intuitive, since you are hiring a professional, but local plumbers will definitely know the most ideal location to place the gas hot water system in order to minimise the need for additional pipes as well as heat loss. This will drive down the cost of both the installation and operation of your hot water system. You can also count on your local plumbers to inspect and repair your gas hot water systems. If they are the same ones who installed your system, then all the better because they are already the people you trust. What’s more, they are already familiar with your home’s layout and pipe network so they can perform a quicker and more efficient job. Call Wide Plumbing Services at (614) 392 7731 or send an email to wideplumbing@info.com to have a gas hot water system installed in your Central Coast home, or to have your existing water system checked and repaired. Trust that we will always attend to your needs promptly and with utmost professionalism, and that our team of expert plumbers will deliver quality service no matter how simple or complicated the job. Our customer service team is also standing by to answer any questions you may have about our services. When you work with Wide Plumbing Services, you can be assured of stellar service from start to finish. No matter how big or small the job, you can count on our team to deliver high quality workmanship and professionalism. We also ensure that we will leave your home in good shape after we finish our jobs, because we know and recognise the value you give to your property. 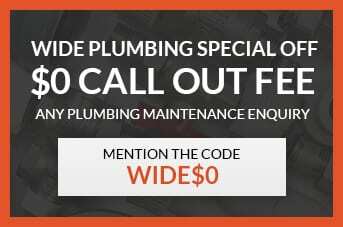 You can also rely on Wide Plumbing’s robust after-sales support. If you have any questions, need further assistance, or encounter any problem with your hot water system or your plumbing in general, just call our hotline or send us an email and we will be there to address your concerns.